prudsys AG’s AI-based price optimization solution ensures intelligent prices for 11teamsports, both in the online shop and in store. With over 1.5 million customers, 11teamsports is one of the largest retailers for sporting goods, lifestyle products and team gear in the German-speaking area. The company was founded in 2007 and grows by approximately 20 % every year. The sporting goods retailer sells its products in the online shop as well as in 17 bricks and mortar shops in Germany, Austria and Switzerland. The company has a clear vision: to keep improving financial results, remain competitive and solidify its market leadership. 11teamsports sees intelligent price control as one way of achieving these goals. In order to automate its price processes and intelligently control product prices online and in stores, 11teamsports relies on the prudsys Realtime Decisioning Engine (prudsys RDE) following a successful A/B test. The real-time solution is based on artificial intelligence and is in the position, depending on the objective, to increase sales, revenue or the margin. The sporting goods retailer seeks to intelligently control the pricing of all products, thereby increasing its margin, revenue and number of orders. The company would like to fix all 400,000 variants (sizes and colors) of its 24,000 products with different prices, which requires the pricing solution to have maximum scalability. 11teamsports would like to take the burden off category management: automatically pricing all products leaves more time for strategic decisions on products and product ranges. The AI solution should be able to take various factors into account such as demand, variable inventories, brands, clicks per size or end of life cycle. 11teamsports’ requirement was to find a pricing strategy that forced the sale of products while keeping the margin in clear focus. The prudsys RDE automatically adapts the prices of the 400,000 product variants to all relevant contextual conditions on a daily basis. Real-time tracking ensures that the demand is measured on the product level and included in the price calculation. This way, the prudsys RDE can predict out-of-stock situations in a timely manner and take this into consideration in the pricing process. If a product is new to the range or at the beginning of the product life cycle, the pricing strategy focuses on increasing margins and revenue. Demand-driven, the focus is on skimming off enough income and revenue to achieve the specified average target margin in the different product ranges. The result contributes in particular to the goal of 11teamsports, to remain solvent and competitive. The goal of the markdown pricing strategy is for products with an advanced product life cycle to reach zero inventory by a defined target date. For each individual product, the algorithm detects the extent of the demand and controls the sale via price while creating gross profit per item at the same time. The AI solution calculates the optimal pricing for each individual item, in each size, along the entire product life cycle until the defined sell-by date. 11teamsports’ category management determines which parameters are incorporated into price calculation. It also decides the range in which the prudsys RDE can calculate prices by setting variable price limits according to product age. 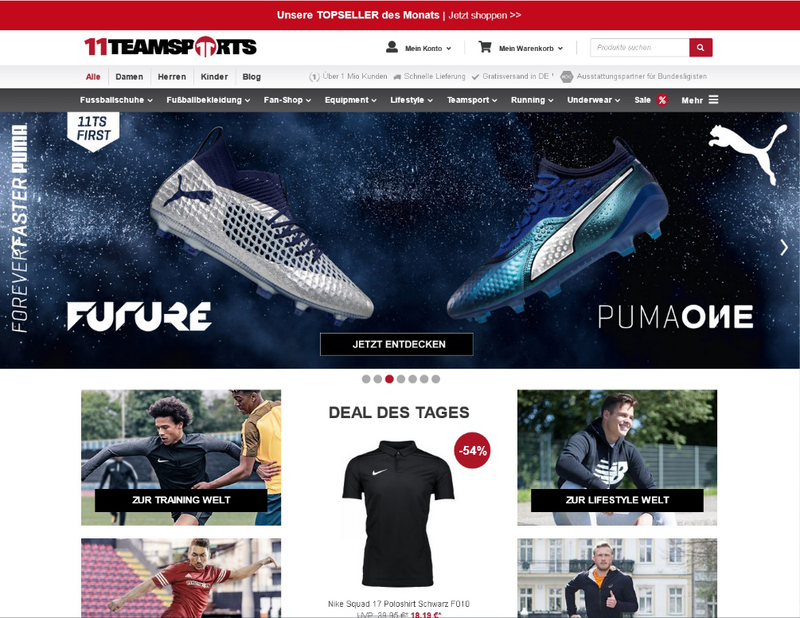 11teamsports uses the prices calculated by the algorithm online in its regional shops in Germany, Austria and Switzerland, at kickershop.de as well as for its bricks and mortar stores. 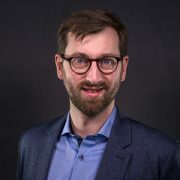 In the A/B test the combination of margin and revenue optimization turned out to be an optimal global pricing strategy with the sell-off method. Compared to manual pricing, 11teamsports has been able to increase its margin and revenue while simultaneously increasing the order rate by 3%. Thanks to price automation, category management is left with more time for strategic price management tasks. Due to this success, 11teamsports has been relying on prudsys since 2017. The company is planning for future application scenarios for dynamic pricing.